Los Angeles, CA (THE WIRE PRESS) – Moda 360 presented the work of artists, fashion designers and filmmakers in its third edition at the New Mart in Downtown LA in April 2016. Designers and artists from the LA art community, US, United Kingdom, Canada, Indonesia and Colombia exhibited their work, with a special collaboration between US artist Dana Ellyn and UK designer Lucy Tammam creating hand painted gowns making a beautiful environmental statement. Artists Justin Bolton and Andrea Bogdan live painted throughout the event, demonstrating their technique to the audience. International fashion videos and film shorts were screened during the event, and the feature film “The True Cost,” a documentary about the human cost of the fashion industry was shown. Talks and panel discussions on art, ethical fashion and sustainable manufacturing gave the audience another perspective on the creative industries. Collaboration and innovation is the foundation of Moda 360, encouraging participants to rethink the concept of their collections and express their individual creativity with inspiration from other artistic media. The goal of Moda 360 is to produce compelling content for press and social media to help participants expand their marketing and promotional reach to retailers. Buyers enjoy a unique presentation of fashion and art offering inventive ideas for merchandising and marketing to their customer. Collaboration extended beyond apparel, art and film. Powerful backstage talent inspired an artistic realization of a themed runway presentation. Linger Magazine provided a 1920’s Jazz Garden concept which was brilliantly executed by designers Lucy Tammam and Serafina Davis with set design by Peter Otero of Silver Birches. The runway featured modern looks with a 1920’s reference by Atelier Tammam, Nancy Dee and Eweline B. Talented make up artists Diana Arvizu, Liz Vergara, Britny Curiel, and Kattia Wright from TNT agency, noted for backstage work at major film, tv and music industry events, celebrated the make up styles of the era, and the models walked to music from the legends of the time: Louis Armstrong, Count Basie and Fats Waller. 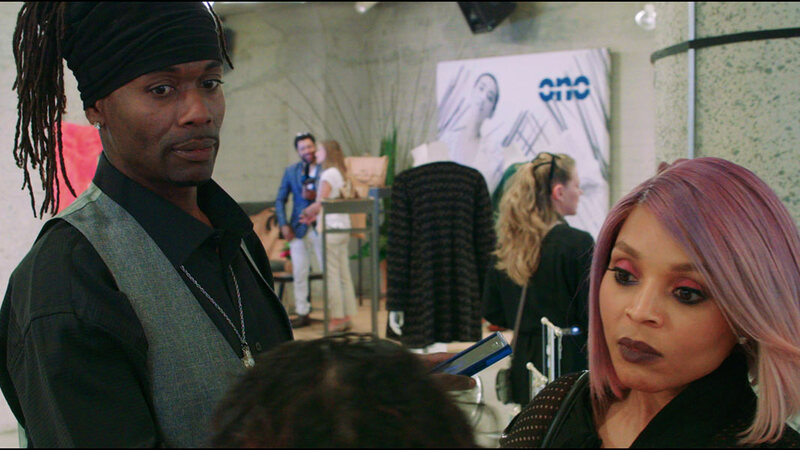 The Jazz Garden concept caught the eye of Kim Kimble, celebrity hair stylist designing the tresses of Beyonce, Lady Gaga, Rihanna, Shakira and Mary J. Blige among others, and the cast of LA Hair joined Moda 360 to create modern coifs with vintage inspiration for the runway. The backstage action and runway show will air on LA Hair’s Season 5, premiering January 5, 2017. Kim brought her new team, and a gentle rivalry was added to the backstage by the team of Jonathan Antin, celebrity hair stylist to Hollywood notables including Patrick Dempsey, Leonardo DiCaprio, Victoria Beckham, Jennifer Garner and Zooey Deschanel. Moda 360: LA 2017 is open for submissions by artists, fashion designers and filmmakers, and partnerships with brands, media and professional seminars and discussions are welcome. Participants and partners may contact Moda 360 for more information. About Bel Essence – Official sponsor of Moda 360, Bel Essence is a natural skin care collection based on a simple idea: give skin the nutrition it needs to heal, regenerate and rejuvenate itself. Bel Essence combines natural and organic oils that are the richest sources of vitamins, antioxidants, omega 3’s and fatty acids, the essential components for healthy, youthful skin. Bel Essence gives skin what nature intended and selects and combines oils with beneficial properties to maximize results without harmful chemicals and colorings. Natural oils, known for their skin health benefits, are combined to treat and nourish skin giving both instant improvement and long term transformation. Learn more at http://www.belessence.com.